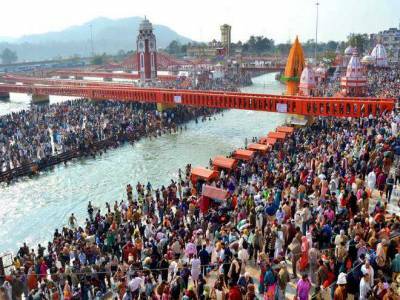 Haridwar Kumbh Mela, Held at an interval of every 12 years in Haridwar, is one of the four places where Kumbh Mela is held in the country. The exact date of the Kumbh Mela held every 12 years gets determined by a special zodiac combination of the planet Jupiter with the Sun and the Moon. However, an Ardh Kumbh also referred to as Half Kumbh as the name suggests take place after 6 years. The Kumbh Mela is of immense significance not only for the Hindu people but an event of great interest for people of diverse religious faiths and beliefs as well. 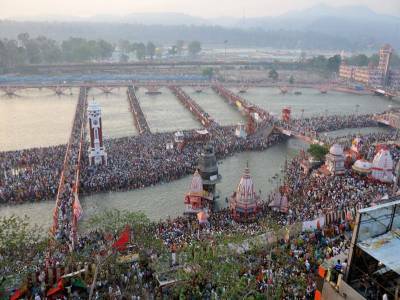 This Haridwar Kumbh has got a historical significance too. Many merchants even from very far off places attended this Hardwar Kumbh Mela. 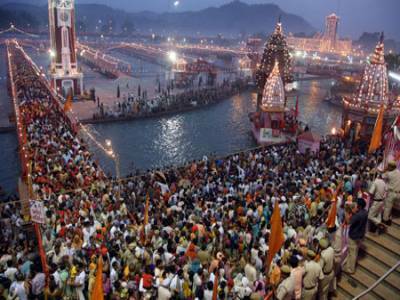 The next scheduled Haridwar Kumbh is in the year 2022 with the last one being held in 2010 while the Ardh Kumbh have already occurred just a couple of years back in 2016. There is also a Great Maha Kumbh occurring after every 144 years. The precise time from which this Kumbh Mela is being held is shrouded in the midst of uncertainty with no unanimous opinion still available. 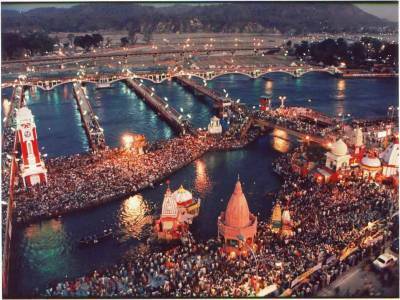 However, it is almost certain that the Kumbh Mela of Haridwar has been taking place at least since the 1600s. It is without any doubt one of the biggest events for the Hindus. The time of Kumbh Mela is the most conducive time for experiencing and witnessing the culture and rituals in Haridwar. Millions of devotees take a dip in the holy Ganges and it is fervently believed that all their sins are washed away by this meritorious act. There are some other rituals as well that are seen during the Kumbh Mela, one of them being the singing of devotional and ecclesiastical hymns. Many Sadhus, sages and ascetics are seen on course of the Kumbh Mela in huge numbers. 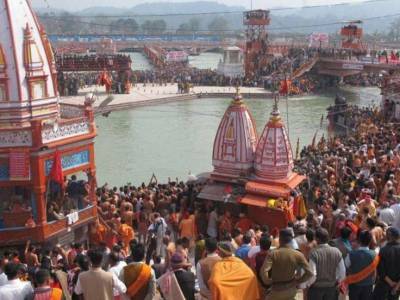 Get quick answers from travelers who visit to Haridwar Kumbh Mela.